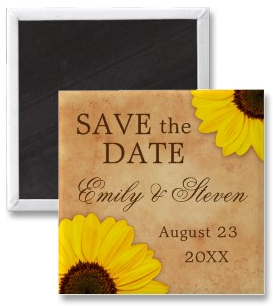 Elegant wedding Save the Date magnets featuring two beautiful yellow sunflowers on a stained, old paper background. Customizable names and wedding date. Stylish design, great for summer and fall weddings. Click on the image for details.